Deadline reports The Originals show runner Julie Plec announced that the next season of The Originals will be the last (the fifth season will be the last season). There's no real reason for me to watch once The Originals is gone. I'm not into the DC nonsense that now dominates their schedule. All the shows I've liked -- including Tomorrow People -- have been cancelled. Now The Originals . . . I really can't get over that the fifth season is going to be the last. Monday, July 24, 2017. Nouri goes to Russia and more. 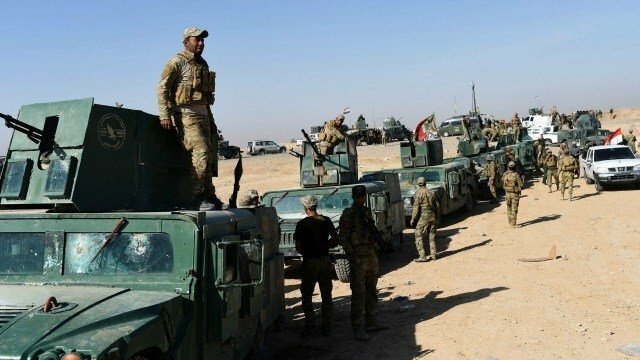 Al-Bidayri says now that Mosul has been retaken and the Iraqi military has been partially rebuilt, he believes the Shiite militias should be disbanded, to curb Iranian influence in Iraq and reduce sectarian tensions. The elderly sheikh, like much of Iraq's religious establishment in Najaf, is a staunch nationalist and wary of Iran's growing influence. Prime Minister Hayder al-Abadi made the militias part of the national security forces. Not necessarily a smart move. ALL IRAQ NEWS reports that Iraq's prime minister Hayder al-Abadi met with the Shi'ite militias today. Afterwards, ALSUMARIA notes Hayder issued a statement insisting that the militas were part of the national security forces and it was the government's duty to protect them. The government's duty to protect them? What about the militia's duty? It's supposed to protect the people. Strange that Hayder feels they must be protected. ALL IRAQ NEWS notes he also rushed to insist that the government is over the security forces. This, no doubt, due to the statements of many militia leaders that they report to Iran. Hayder now tries to take control of a body that has no respect for him. Hayder is prime minister because of Barack Obama, by the way. And an election is coming up. Barack's gone and the man Hayder replaced wants to return as prime minister. 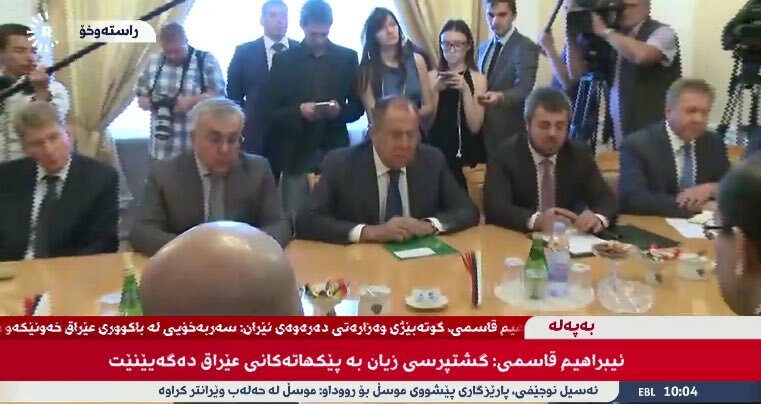 Happening now: #Russia's Foreign Minister meets with Iraqi VP and former Prime Minister Nouri al-Maliki. Yes, former prime minister of Iraq and forever thug Nouri al-Maliki is in Russia. Sunday, ALSUMARIA reported Nouri al-Maliki thanked Russia declaring it prevented the destruction of the Middle East and saved Baghdad. Nouri is one of Iraq's three vice presidents as well as the former prime minister. 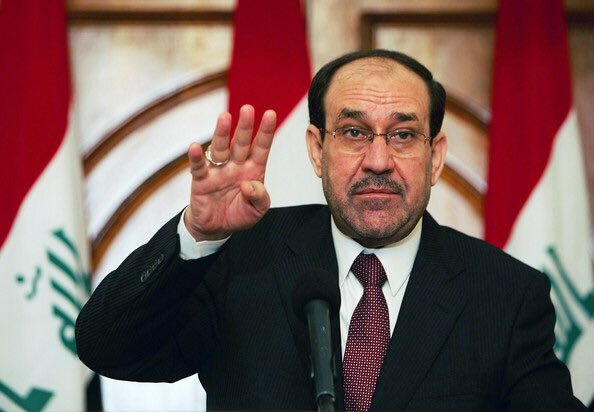 #Iraq's former Prime Minister Nouri al-Maliki blames the administration of former #US president @BarackObama for the creation of #ISIS. His remarks have not gone over well with some. Contrary to @NouriAlMalikiIq's sadly misinformed comments, @CENTCOM's consistently credited #ISF's brave troops w/ the liberation of #Mosul. Nouri al-Maliki is VP? I thought they had more sense than to bring him back in! Nouri carries a great deal of baggage with him -- even in Russia. His remarks, true or not, are based on the fact that Barack Obama prevented him from having a third term. It apparently isn't enough for Nouri that Barack gave him a second term -- one that Iraqi voters rejected in 2010. Possibly Nouri believed after Barack gifted him with a second term as prime minister that Barack would continue to do from that point on. Nouri has been furious with the US government ever since. Prior to that, he had no problems cozying up with them because he is a political creation of the west -- primarily the US. The Bully Boy Bush White House was even able to overlook Nouri's work in the 80s which resulted in attacks on US service members. Barack is the grudge Nouri continues to nurse. And talking Barack in Russia helps obscure some painful realities like Nouri's 2012 dealings with Russia. Ali al-Dabbagh used to be so close to Nouri that the two were practically bath buddies. Today All Iraq News reports that he's accusing Nouri's Media Affairs Office Ali al-Moussawi of a media lynching as Nouri attempts to weasel out of the corruption charges regarding the $4.2 billion weapons deal with Russia on al-Dabbagh. In a written statement to the news outlet, al-Dabbagh alludes to information about Nouri's inner circle that he could reveal. al-Dabbagh has twice publicly denied any involvement in the arms deal. Al Mada notes that in his written statement, he cited his six years of being a spokesperson for the Iraqi government as proof of his (no laughter, please) integrity. Kitabat quotes it in full and that includes insisting that his image is being distorted and that his reputation is unfairly maligned. As a result, he insists, he can no longer do his job. That might have carried more weight had he issued it when he was still in Iraq and before he reportedly fled the country. October 9th, with much fanfare, Nouri signed a $4.2 billion dollar weapons deal with Russia. After taking his bows on the world stage and with Parliament and others raising objections, Nouri quickly announced the deal was off. The scandal, however, refuses to go away. The Iraq Times states Nouri's offering up Ali al-Dabbagh and others to protect the truly corrupt. Meanwhile, All Iraq News notes National Alliance member and one-time MP Wael Abdul Latif is calling for Nouri to quickly bring charges against those involved in the corruption. (The arms deal is now treated by the Iraqi press as corrupt and not allegedly corrupt, FYI.) Latif remains a major player in the National Alliance and the National Alliance has backed Nouri during his second term. With his current hold on power reportedly tenous and having already lost the support of Moqtada al-Sadr, Nouri really can't afford to tick off the National Alliance as well. Kitabat reports MP Maha al-Douri, of Moqtada's bloc in Parliament, is saying Nouri's on a list of officials bribed by Russia for the deal. The outlet also notes rumors that al-Dabbagh is leaving the UAE for Bulgaria. To be clear, I'm not saying Nouri's remarks don't have merit but I am saying he's talking this talk for reasons that include (a) his hatred of Barack and (b) his own past embarrassing history when dealing with Russia. He would much prefer that the press focus on Barack or other things than on his 2012 embarrassment. It's linked to so much corruption -- remember, many noted how tied to the 2012 deal Nouri's son was. The deal was the beginning of exposure for Nouri -- other deals (including the lousy cell phone deal) would soon come to light.